Our decks were new when we moved in 8 years ago. With that said…I have either stained or painted them 3 TIMES in that 8 years, and it’s not an easy or quick process! The last two times I used a stain but I wanted to make sure this last and FINAL time, I wouldn’t have to do anything else for a VERY long time. The picture below shows you just how bad they were a few months ago. Some of the boards had even popped up and were splitting. 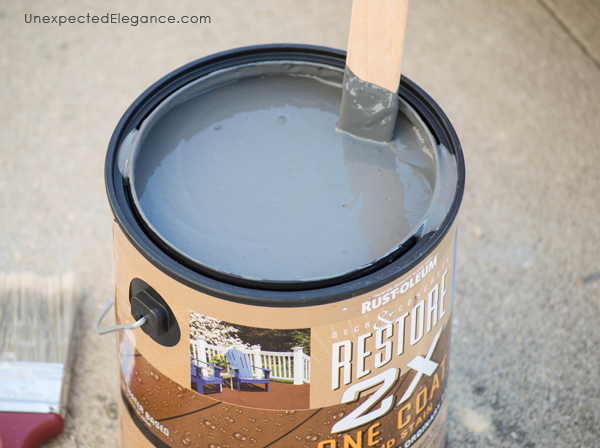 After a lot of research, we decided to use Rust-Oleum Restore®. 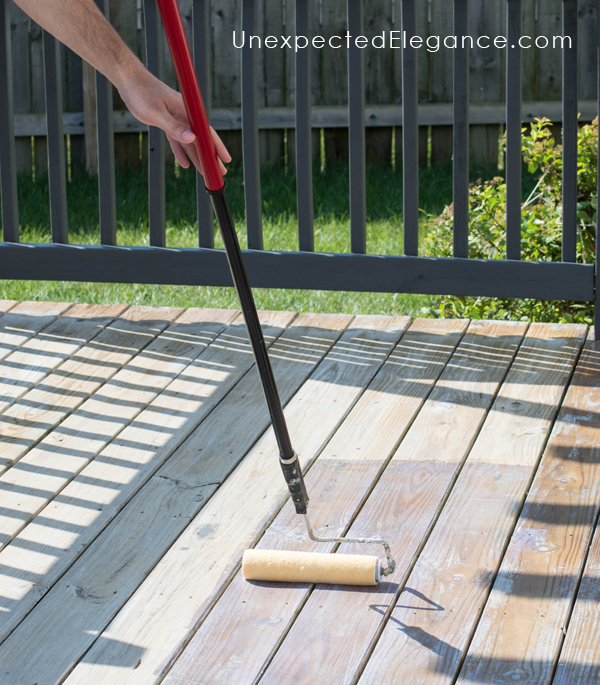 It’s a resurfacer that forms a tough, resilient coating over existing decks, locking down splinters and filling cracks up to 1/4″. It was the answer to our problem!! To prep the decks we replaced a few of the really bad boards, then pressure washed everything. 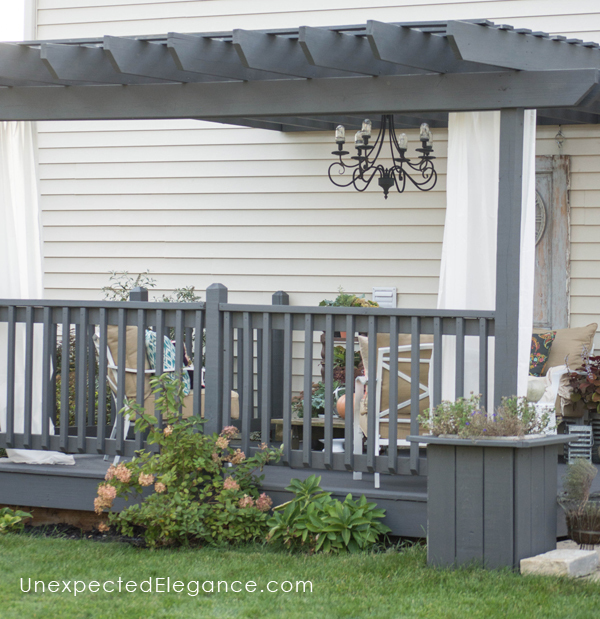 For the railings, planter boxes and pergola we used the Restore® 2X. 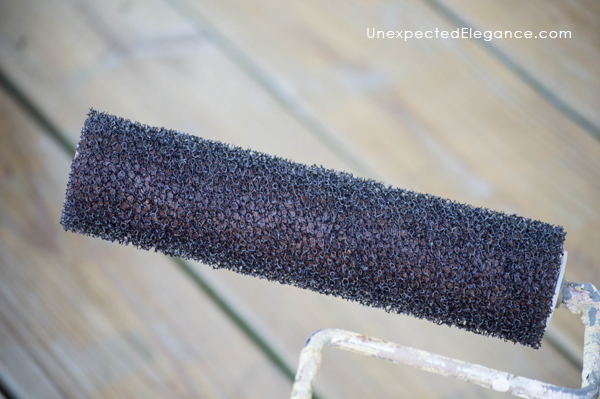 It’s a solid stain that features NeverWet properties which provides hydrophobic water beading and superior water repellency to extend the life of the deck. 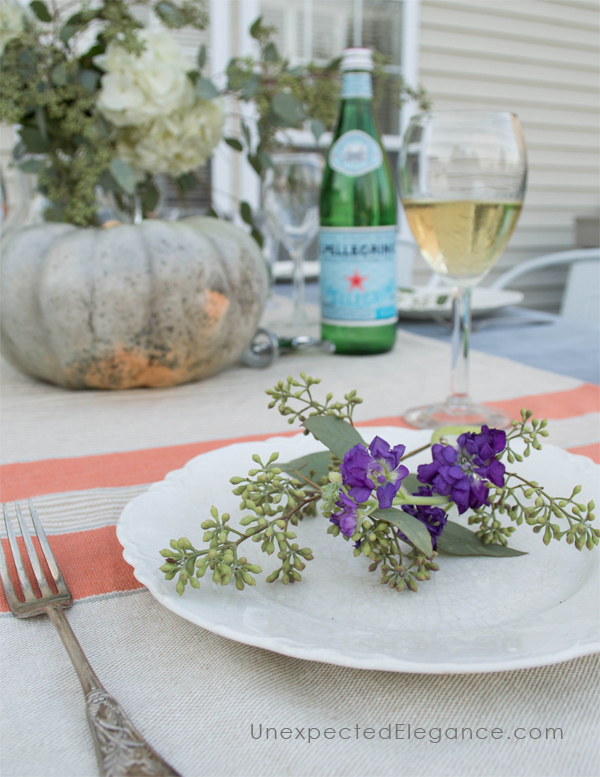 It’s also algae and mildew resistant! My girls were even able to help with this step! Once all the upper areas were finished we started on the floor decking. 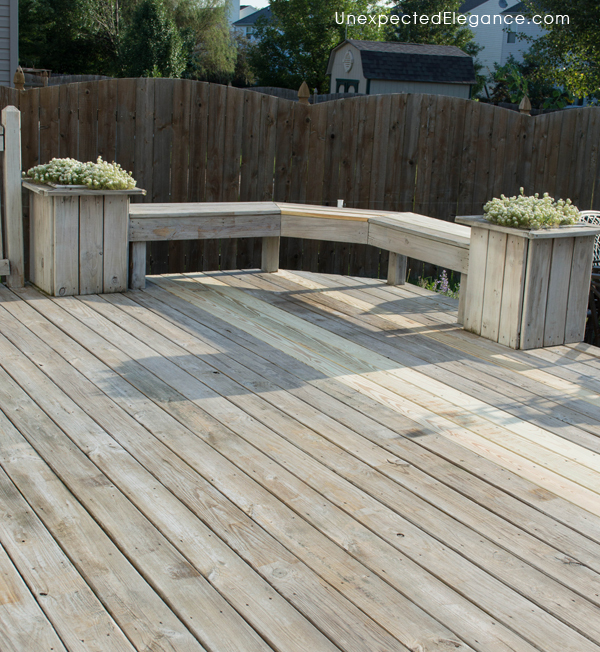 We used Restore® Deck Start Wood Primer. 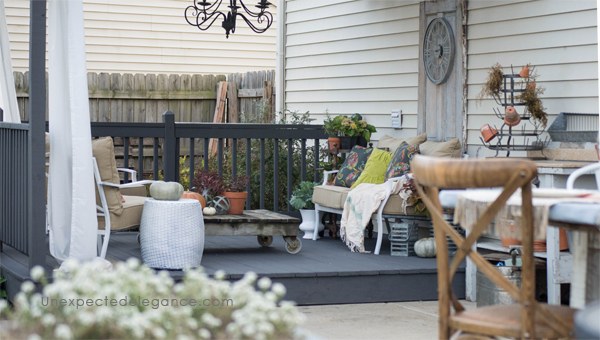 One gallon covered both of our decks, which is about 445 square feet. Don’t skip this step…prep is the most important part of most projects! Then we brought in the big guns. 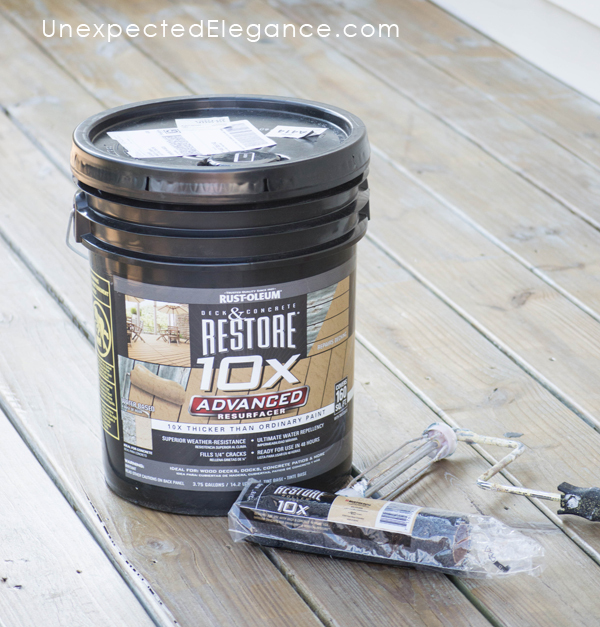 This Restore® 10x is no joke! You will need to purchase a special roller for this product. It goes down very thick and requires two coats for proper coverage. I am so happy with how they turned out. 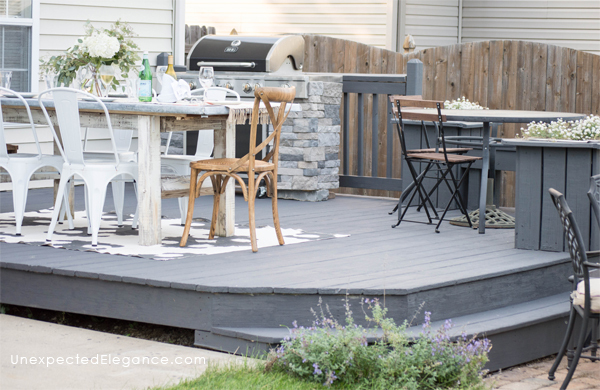 It took us a lot longer to complete this project because of some weather delays but it was well worth it…we won’t be touching these decks again while we live in this house! 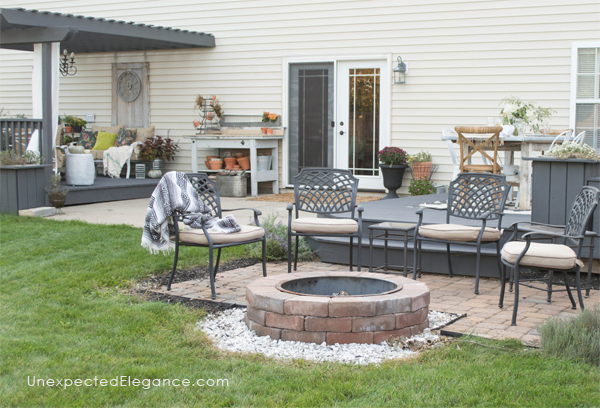 In the spring we plan to use Restore® 10x on the concrete patio, so I’ll give you an update then on how the decks held up over the winter. You know how this works right…you do one change to a space and it causes a chain reaction! So I had to update my furniture, once the decks were shiny and new. 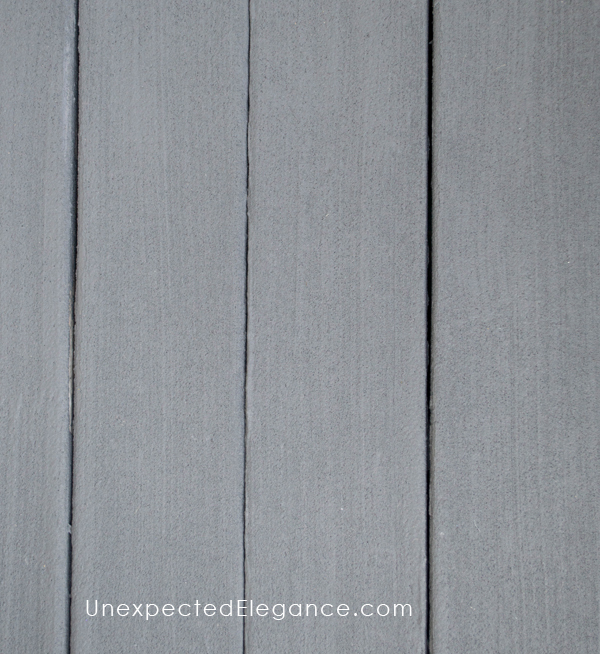 😉 The color I chose for the decks is called Carbon and it’s a very dark, charcoal gray. Our furniture was a darker color too, so to get it to pop, I spray painted the frames a shiny white and bought new cushions (on clearance at the end of the summer). 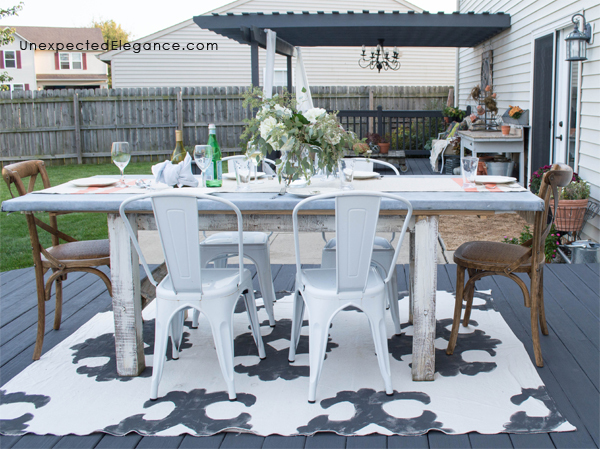 The top it off, our outdoor table also got switched out with the zinc table top from my dining room. You can see the post on that HERE. 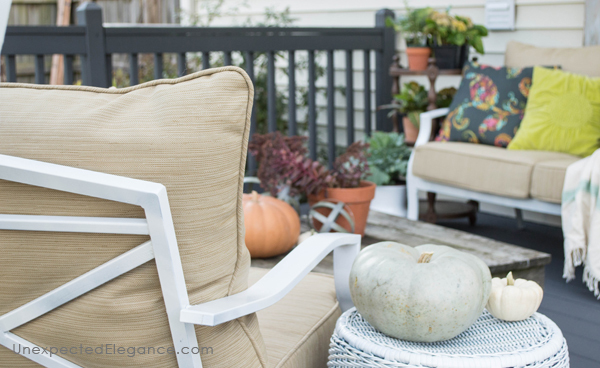 I love our outdoor space and right now is the perfect weather to enjoy it! What an amazing transformation. I’m inspired to give it a try next spring! 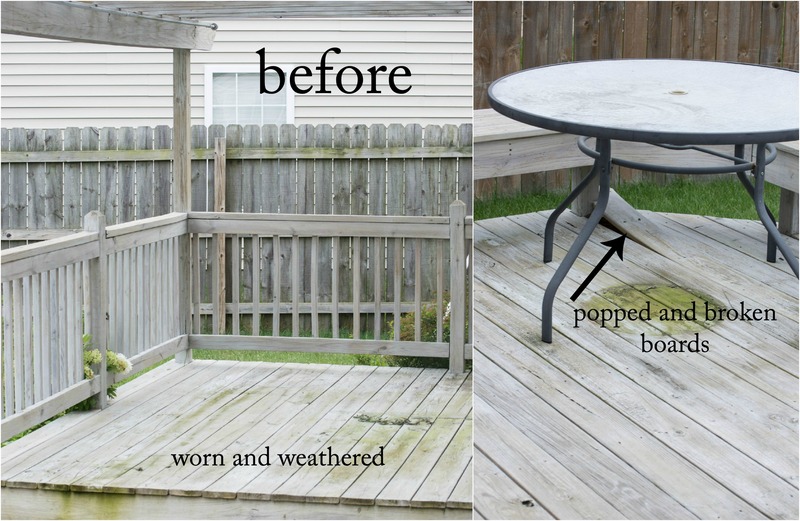 I am very interested in finding out how well the deck did over the winter. I see this post was yesterday and wondering what part of the country you are in. 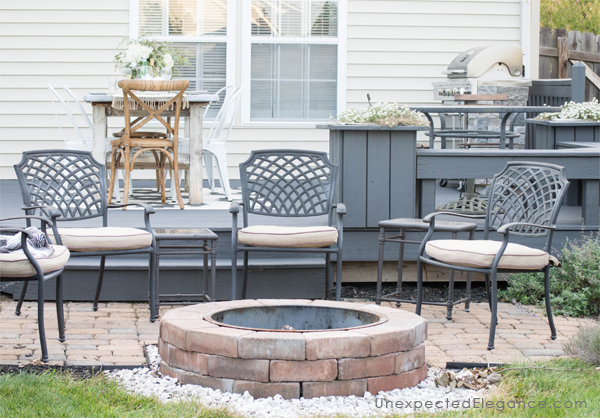 I want to redo my deck as well but living in North Jersey and freezing temps tonight, I doubt I can touch the deck until spring! I have been looking at both Rustolium and Behr Deckover decks and read way too many problems with Deckover so I opted to not do anything yet. So, I am anxious for your feedback after winter! Thanks! No, it will not do well over the winter. We made it through a winter and so far the decks still look amazing. We are in Indiana and normally have very harsh winters, but this past winter was somewhat mild. It’s hard to say what the results will be for your deck, because I’ve heard mixed reviews, as well. As of right now, I’m still very happy with the product. After reading this, I was excited to try it on my own deck in the spring. But then I read the reviews on Amazon. I hope you have better luck with it than the reviewers did. One winter down and it’s still in great shape! I work in a large home improvement center and had read extensively about this product. After much time and money, I applied it to my deck. I prepared the deck as directed and applied as directed. After one year, the product was peeling extensively. I could actually peel off large pieces by hand. So I decided to completely remove it using a power washer. Now my yard is full of large pieces of product and to add insult to injury, there are large patches of the product remaining on the deck in cracks and crevices and screw holes. Now what ?I can’t think of anything other than using furniture stripper on those patches–another time consuming and expensive procedure. Any other suggestions? I am more than frustrated and angry. Grrrrrrrrrrrrrrrrr! Char, oh my goodness…that is horrible!! I haven’t had any trouble at all and after I read your comment just went to check the decks over carefully. My decks still look great after 1 winter, so I will have to give it some time. I hate that you are having such an issue! I can’t think of anything other than stripper, but you are right…that is going to take a while. My suggestion would be to contact the manufacturer directly and let them know the situation. Just for others benefit, did you use the primer and which version of the paint (10x or 2x) did you use? I’m curious if the different versions react differently? 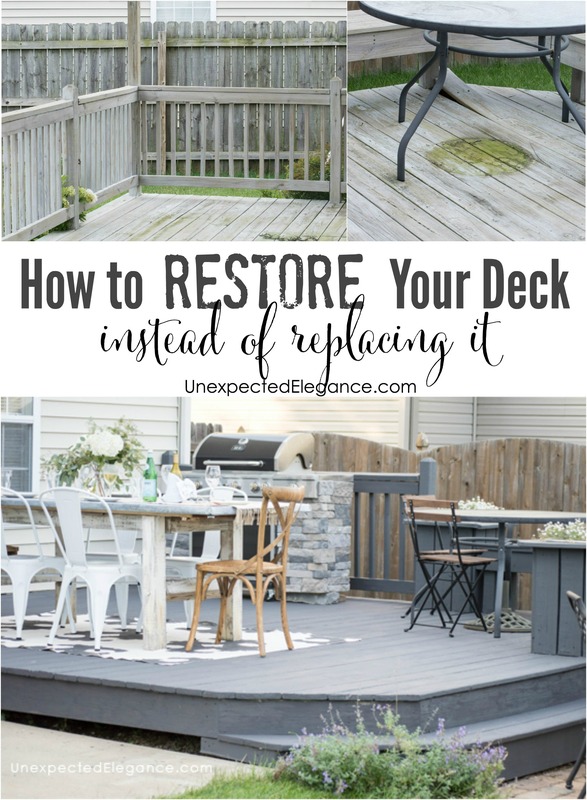 With multiple winters .. is your deck still holding up? I live on the Canadian border and i had tried the Behr product but 1 winter and it was toast. Horrible waste of money. Tried it. Actually, worked hard sanded all 3 decks right down and applied it. Looked great for that summer. Did not survive the winter which was easy. Made sure, I didnt shovel the deck and it peeled off. Such a waste of money. This is not cheap. Cost me over $500 to do my big decks. NEVER EVER AGAIN. Oh goodness, I’m sorry! I know how frustrating it is put in all that work and money into it for it to not last! 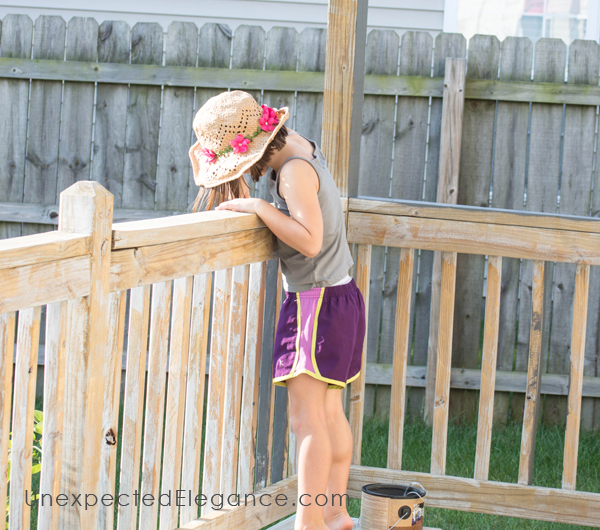 We had stained our decks 3 times before trying this. Fortunately for us our deck has held up. It’s been 3 winters and it still looks great. The only problem we had was the tops of our planter boxes and tops of the rails started to peel…but that was our fault. We used the 2x instead of 10x on those areas. We’ll be redoing those in a few weeks.